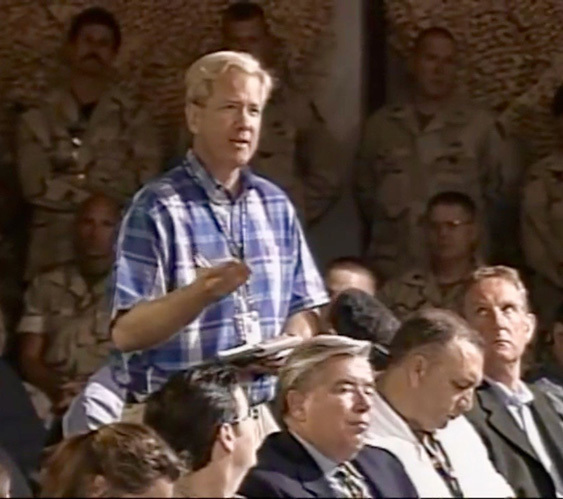 In early 2003, I was among a hundred or so journalists who would every day engage in reportorial Q&A sessions at the U. S. Central Command (Forward) media center. The briefings took place in a million-dollar “media briefing warehouse” constructed on Camp As Saliyah, a Qatari military base in a desert outside Doha. At the time — and even on reconsideration a decade later — it was a surreal exercise. Rather than being progress reports from the senior headquarters closest to fighting in nearby Iraq, the briefings devolved into embarrassingly simplistic presentations of talking points originating in Washington. While ostensibly run by a group of respected military public affairs officers, the Doha effort was truly marshaled by a handful of political appointees. Over time, expectations scaled back to the point that my goal became simply to try to ask good questions — hoping they, irrespective of official answer, might prompt listener and viewer thinking about the project of concentrated violence being launched by the U. S.
Did I succeed? You can click here to see and hear a few of my attempts.